To answer my own question, I had never had a Snickerdoodle ... until this past weekend that is. In fact, had you asked me about this oddly named cookie a month ago I wouldn't have had any idea what you were talking about. Nick and I both completely missed out on this treat, although seeing that they have their own wiki page (here) we are in a minority. 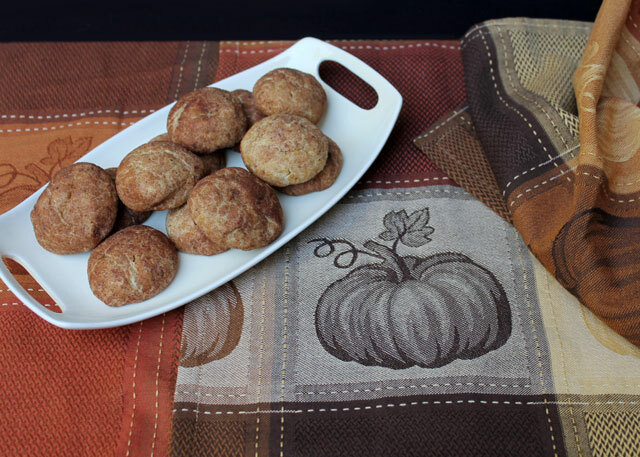 So this weekend was Canadian Thanksgiving and due to circumstance it was only going to be the two of us, so rather than make a big dessert I decided to try my hand at making some 'Pumpkin Snickerdoodles' using this recipe from The Kitchn. 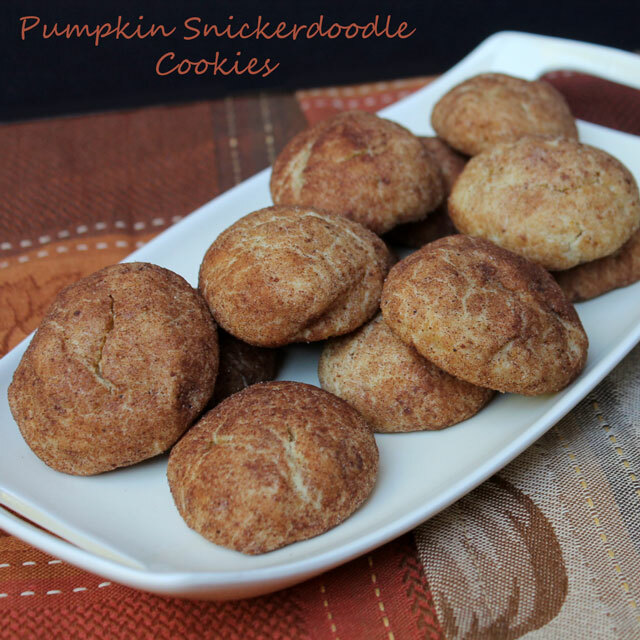 Since I made them using some of the frozen roasted pumpkin that Nick prepared last fall (described in this post), he thinks that we should call them 'Nickerdoodles' though. (1) The recipe called for Cream of Tartar as the leavening agent but we had none, so I replaced it AND the baking soda in the recipe with 3 teaspoons of Baking Powder. This resulted in nice light fluffy cookies that look to be puffier than the ones pictured in the recipe. (2) I made them a bit smaller, with the recipe yielding 24 rather than 18. Even so, the cookies were plenty large, about 4 bites each. (3) The recipe instructs the cookies to be baked in a 325 degree oven for 11 to 12 minutes. I found mine weren't done so I left them in for an additional 4 minutes, 16 in total. Next time I might try them at 350 degrees. Oh, and the recipe suggests that you let these cookies cool right down before eating them. You should do that ... I taste-tested one when it was still warm and was disappointed. So avoid yourself a moment of disappointment by waiting 'til they come to room temperature because once cooled down these cookies are amazing! 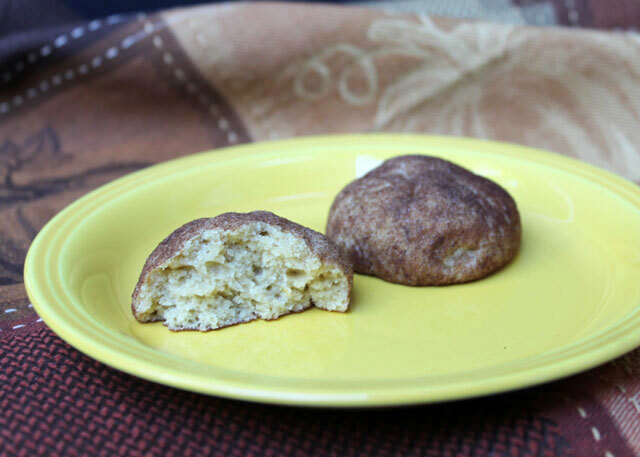 They're lightly sweetened and perfectly spiced with nutmeg and cinnamon, and the cake-like texture is very nice. We both love them. Granted mine did end up looking a bit like potatoes or mushroom caps, but please don't judge a cookie by its cover on this one. 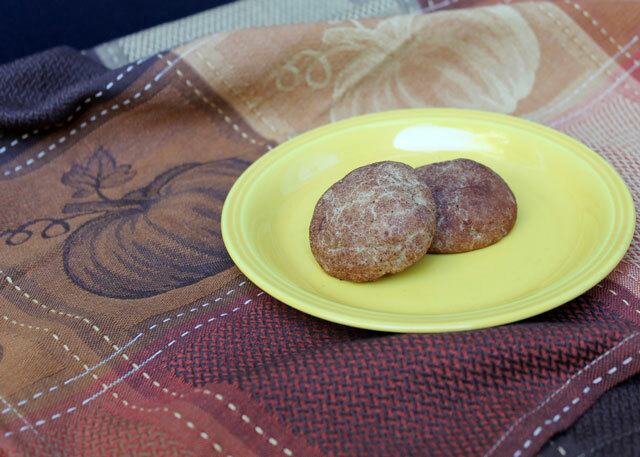 Pumpkin Snickerdoodles are so delicious that we have decided that they will become a new Autumn tradition in our home! 4 Responses to Have You Ever Snickerdoodled? 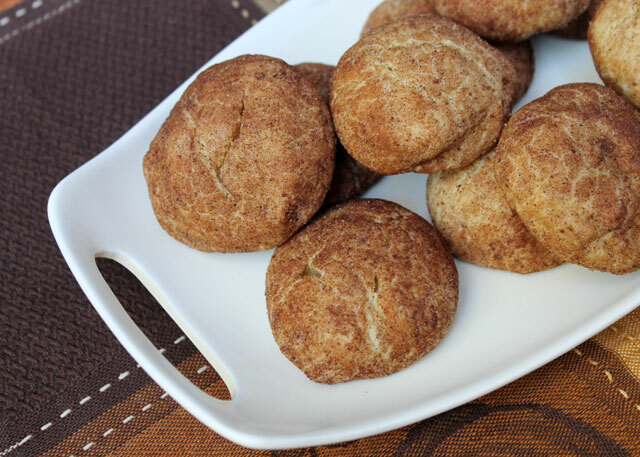 snickerdoodles have the cutest name for a cookie, i think! I have made them before, but i think I need to give them another try. these look delicious! TASTY!! NOM NOM NOM! Get in my belly!! !